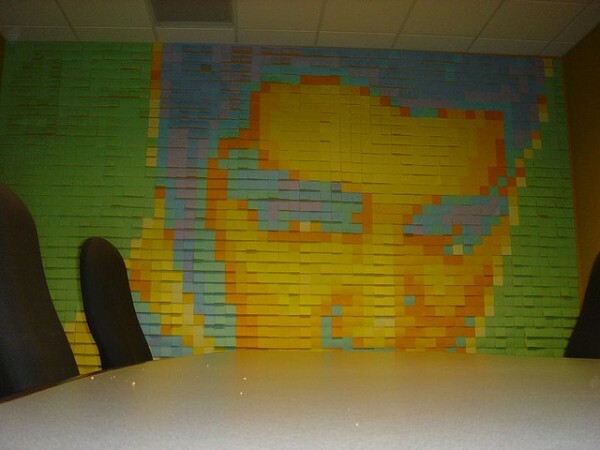 Have you ever wondered what you could do with 2,646 post-it notes and a free weekend? 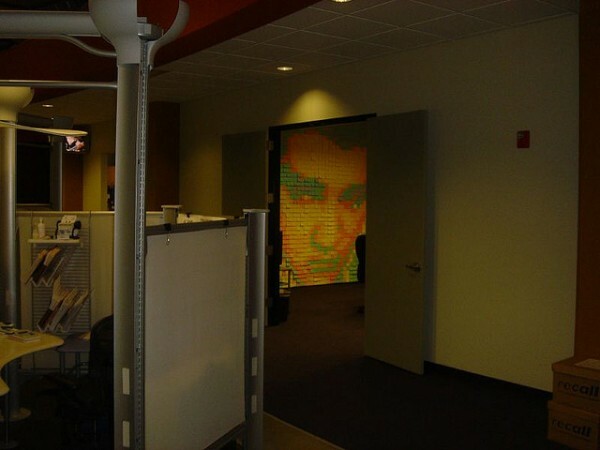 You could consider making a giant portrait of Elvis on a wall in your office like Charles Mangin did. 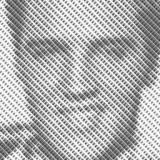 When the mosaic is viewed from a distance, it becomes even more apparent that it is a portrait of Elvis. 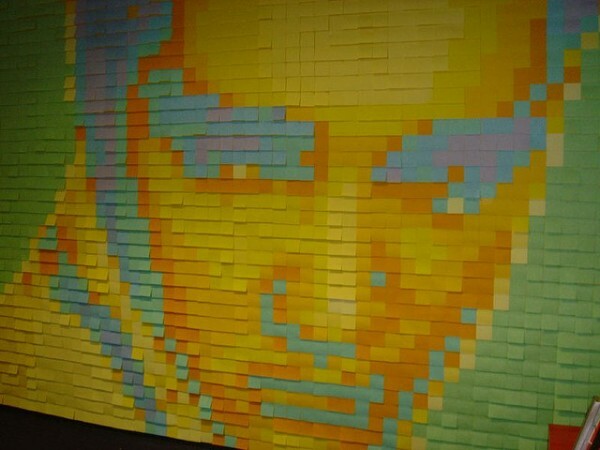 Read Mangin’s full post about creating this mosaic where he shares some tips and tricks for anyone looking to do something similar.